In some respects, the Nintendo 3DS couldn’t have come sooner; lately I’ve been finding the DS shelves at my preferred game shops increasingly clogged up with an enormous tidal wave of shovelware. A while back, before Game decided to have a purge, the PC games section was dominated by various varieties of hidden object game (potentially a side-effect of most canny developers giving up on the idea of selling boxed PC games in shops in the first place); at points it’s seemed that the DS selection has been getting that bad. If the 3DS is substantially more expensive to develop for then hopefully that will mean the market isn’t swamped to the point where shovelware crowds high-quality games off the shelves. The crappy selection of games currently out for the DS is particularly unfortunate, because I think the best console games often come out comparatively late in a console’s life cycle. Once you hit a point where developers are both comfortable enough with the system in question to really be able to put it through its paces, and the prospect of an upcoming new generation of consoles make them want to push the constraints of the old hardware in order to compete with the flashier offerings on the horizon, sometimes wonderful things can happen. The first Silent Hill game is one of the most visually arresting games on the PS1 and came out barely a year before the PS2 arrived; the PS3 had been out for years when Persona 4 came out on the PS2 and amazed me with how good the graphics on the old system could still be. So I was quite glad when a while back I was able to score the latest sequels to some of my favourite series on the DS, and found that in both cases they pushed the graphical capabilities of the system to the limit. On top of that, I don’t know why it is but for some reason both of them seemed to take a more pessimistic, downbeat stance than is usually typical for downbeat games, which got me thinking about downer gaming in general. Writing games that make people feel sad or bad about the things that happen on them is kind of a tightrope. Spec Ops: The Line, I would say, is a superb example of a game which did it right, not least because whilst it does teeter towards the trap of blaming players for attempting to engage with the scenario that a game presents them with (if a game gives you no option other than to kill people, is it really your fault when you kill those people? Is it really fair to expect people to play a game without partaking of the core activity of the game? ), but it also spends just as much time analysing how games of its ilk are put together and presented by the industry in the first place. It’s crammed to the gills with set pieces that the Call of Duty clones of the world unimaginatively cough up time and again, and has a perfect knack for making them very slightly fucked up, and generally getting across the idea that once you are in the midst of a full war situation then things are already fucked and nobody is getting out clean, and that’s not something to cheer or celebrate or valorise or treat as being a Good or Strong thing; instead, the capacity of a human being to do awful things because they are persuaded that they are the Hard But Necessary things is, in Spec Ops, something to deplore. However, for every Spec Ops: The Line that comes out there’s a dozen indie attempts at Challenging Your Preconceptions which fall flat like The Path or Dear Esther, and two or three major league developers revealing the extent to which their artistic pretensions overreach their craft, as happened with Mass Effect 3 or Grand Theft Auto IV. And yet here are two games in series which had previously proven quite cheerful which had me genuinely engaged and mooping away at the moop-worthy things that happen in them, and they make the whole thing look easy. What gives? 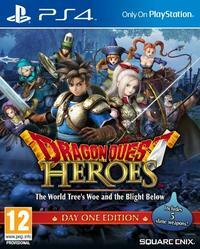 Is it just me, or has the Nintendo DS become the new home for the Dragon Quest series? 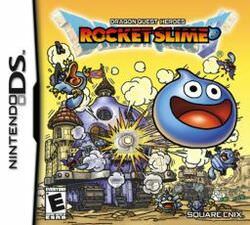 Dragon Quest IX is a DS exclusive, as were the spin-offs Dragon Quest Heroes: Rocket Slime and Dragon Quest Monsters: Joker (the latter of which is a kind of dull Pokemon ripoff), and Square Enix even saw fit to rerelease Dragon Quest IV on the system – the first time that particular game got a European and Australian release. 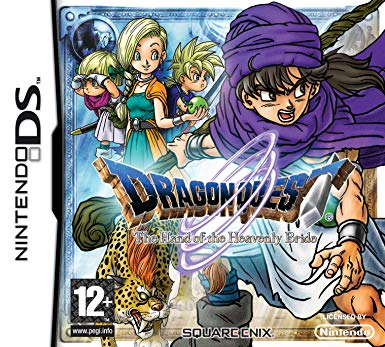 Clearly, the remake was enough of a hit to make it worth another go – hence the rerelease of 1992’s Dragon Quest V: Hand of the Heavenly Bride on the DS, and the upcoming DS remake of 1995’s Dragon Quest VI: The Realms of Reverie – the two main series Dragon Quest games released on the SNES, and the final two parts of the Zenithian Trilogy begun by Dragon Quest IV, the first time either game has become available outside of Japan at all. If there’s one thing that the Dragon Quest series (also known as Dragon Warrior) is known for, it’s consistency. The original Dragon Quest helped establish many of the conventions of Japanese CRPGs which Final Fantasy would popularise, and although Dragon Quest VIII: Journey of the Cursed King included beautiful graphics, a fun plotline, enchanting characters and engrossing gameplay, it was also an extremely traditional JRPG, complete with random encounters, turn-based combat, and grinding. This makes Dragon Quest Heroes: Rocket Slime particularly interesting, because it’s such a spectacularly odd game, concerning as it does the adventures of a bouncy blue Slime and his enormous Slime-shaped tank.